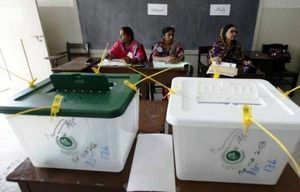 Polling is underway in the first phase of local bodies elections in 12 districts of Punjab and eight districts of Sindh. 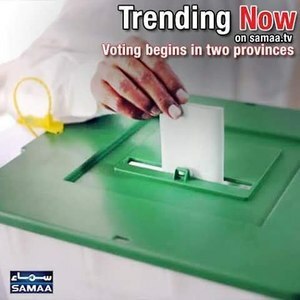 The polling began at 7:30 this morning and will continue till 5:30pm. 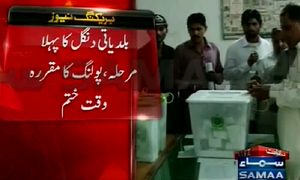 Whereas PPP, PTI, PMLN, PMLQ and various independent candidates are taking part in the polls. 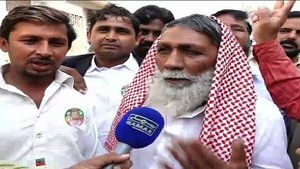 Aaj k Elections me Sindh se sab se ziada seats kon jeetay ga? 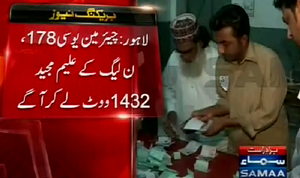 I hope that the #lbpolls2015 goes without any incident or mishap. 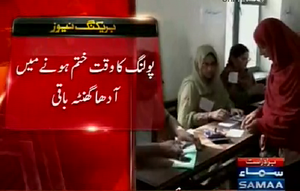 if u want to change in laws and enforce citizens then cast vote for change. 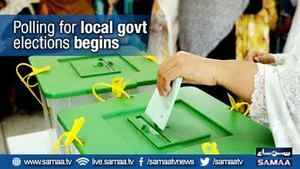 #LGPolls in #Pakistan are like a gateway for #criminals and criminal-minded to enter the domain of #Politics! 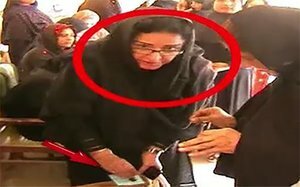 Naudero, Larkana polling station vacated, voting disrupted for Bilawal Zardari to cast vote. 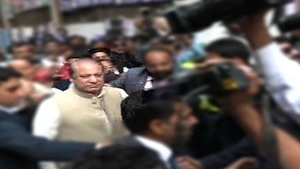 Devolution of power in VIP style!!! 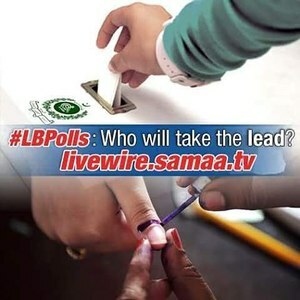 Who Will Win The #lbpolls2015 ? 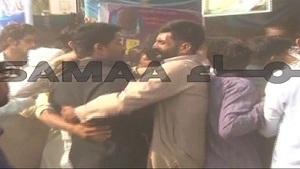 Political arena or wrestling ring? 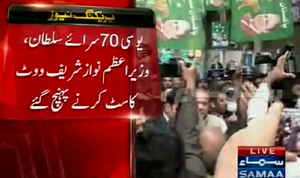 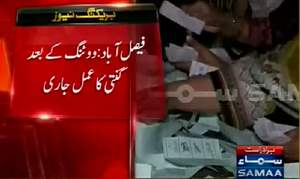 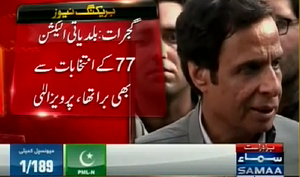 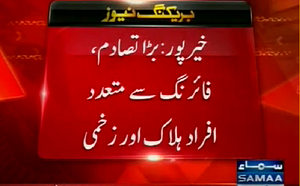 #Breaking: #lbpolls2015 to end in half and hour. 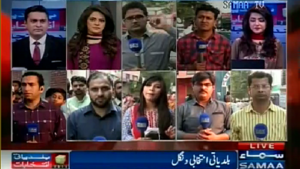 Which political party is most likely to win in #Sindh #LBPolls2015? 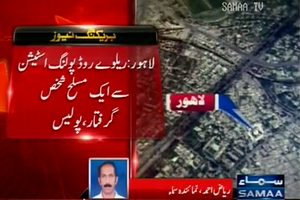 Do we required help of #PAKAmry in all Elections including #LBpolls2015 in entire #Pakistan to maintain peace? 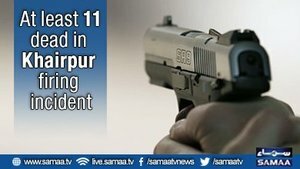 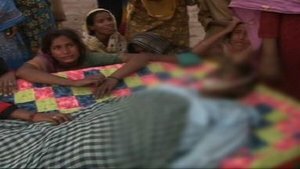 Death toll in #Khairpur rises to 11! 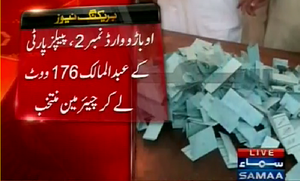 #‎Breaking‬: ‪#‎lbpolls2015‬ vote count underway in #Faisalabad. 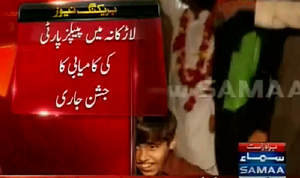 ‪#‎Breaking‬: #PPP workers celebrate win in #Larkana ‪#‎lbpolls2015‬‬.